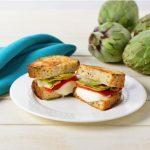 What Goes Well With Artichokes? Everyone loves to dip artichoke petals. Try this harissa dip to serve with roasted artichokes. Or this lemon chive aioli for these fried baby artichokes. 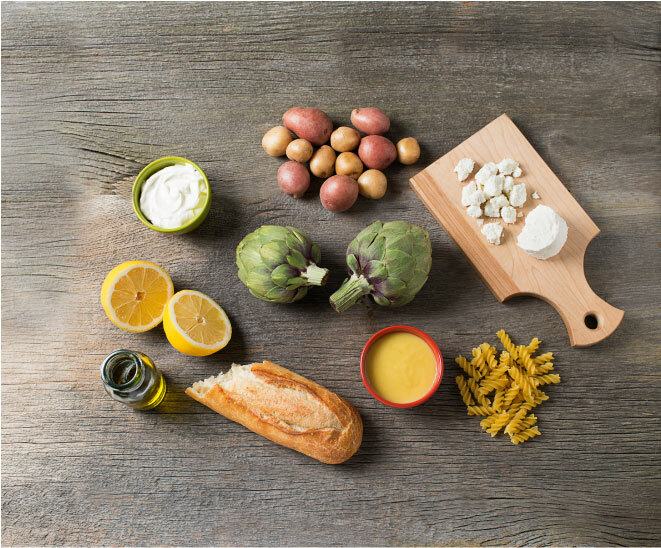 Use melted butter, garlic butter, or hollandaise as a dipping sauce for hot artichokes. Blend artichoke hearts with sautéed spinach, sour cream, cream cheese and parmesan cheese to make a dip for pita chips or your favourite cracker. 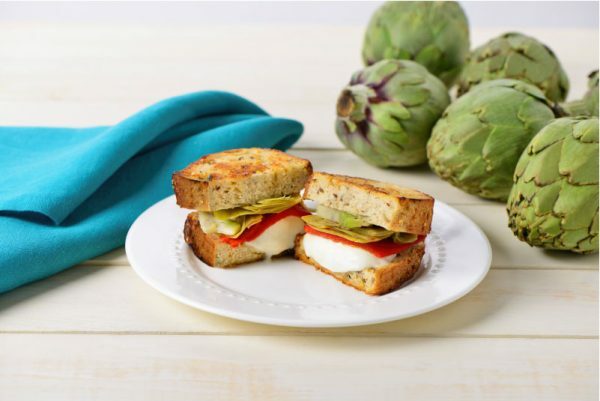 Add artichoke hearts to a grilled cheese sandwich or pizza, or stuff them for an impressive and beautiful dish. Toss artichoke hearts, celery and parmesan together for a modern update on a regular green salad. Here’s an inspired idea: deep fry artichoke leaves in beer batter and serve with a creamy, herby dipping sauce.